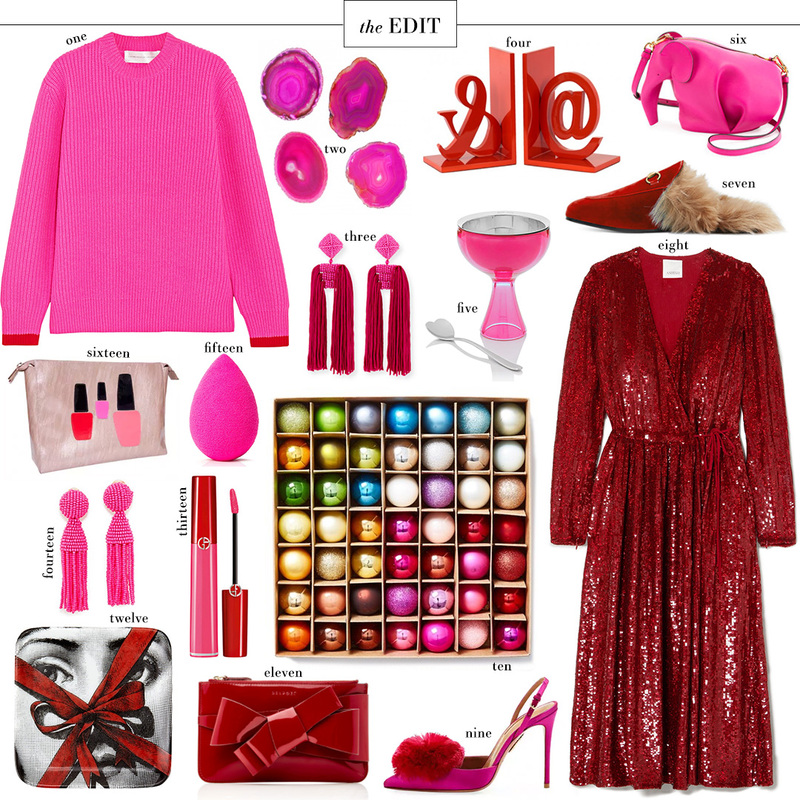 Nothing says Christmas more than a pop of red. The ruffle detail is the icing on the cake! If you’re a bride and have an engagement party this or next month, check out this little number from Alice + Olivia. So pretty! The red sequin dress above also comes in this tank dress style! Would be great under a cool blazer or fur jacket. If you’re not a fan of sequins but you’re okay with a little shine, try this one-shoulder piece from Sea. Love the subtle green print! Don’t shy away from color? You won’t want to miss this striped sequin shift. Darling! This deep green Dolce & Gabbana dress would be perfect for Christmas eve church + dinner. Speaking of green, this embellished minidress is under $200 and such a fun party option! It’s got color, it’s got sparkle and it shows the right amount of skin. This Alexis dress also comes in silver! I personally would love to get my hands on this dress. The oversized bow detail and sleek silhouette are absolutely breathtaking! I love everything in the Edit!!! Such cute stuff. I CANNOT believe Thanksgiving is next week! You have the best Edits!! !